Artura is able to utilize her connections with other Villagers as well as the local Merchants in order to reduce the cost of Raw Materials in her home Village by a total of 50%. Crafting Expertise: A player may craft an item one rank higher than what their current experience or skill set allows. This can result in a 50% increase in price for material. Artura was raised by a pair of shinobi parents who had originally intended for the young girl to attend the Academy much as they had during their own youth. They began preparing the young Artura for a future in the Village Military, however, the young girl had displayed a lack of ability to attune themselves to any of the main elements as well as an inability to truly grasp the nature of the Shinobi Arts as a whole. As a result, the young girl's parents would attempt to hire a mentor who would be able to guide the young child in the ways of Ninja and perhaps be able to prepare the girl for a life as a kunoichi; this too would fail with the mentor remarking that the girl was simply unable to properly learn the Shinobi Arts and would, unfortunately, be unable to attend the Academy. Although the mentor would remark that the young girl showed an astonishing promise as a future craftsman as she had fashioned together a small device which had allowed her temporarily to channel chakra like an ordinary ninja even though she was unable to do so on her own. This device would become something that Artura would later attempt to perfect for reproduction in the future such that it could be passed onto other inadept citizens of the village such as herself so that everyone would at least be able to provide aid to the village when it needed protection either internally or externally. Instead of attending the Academy, Artura was sent by her parents to work under the apprenticeship of an old Engineer and Chemist who she would quickly take a professional liking to and begin to learn the old man's trade with a fervor unlike anything else that the girl had shown up until this point in her life - it was clear she was meant to be something other than a Shinobi, and, although it disappointed them somewhat that they would not continue their ninja tradition; they supported their daughter wholeheartedly and would see to it that she received as much education as she wanted in the fields of craft. It was through this old man that she had learned the one ninja-art she had a natural proficiency in, the mysterious art of Fuuinjutsu which she had used alongside her mentor in order to create items of otherworldly ability by sealing these abilities within the items themselves - something that both fascinated and terrified the young girl due to the immense power that was possible and the worry that such power could be used for great destruction if handled carelessly or purposefully with the intent to cause harm. As of the current day, Artura no longer studies under her old mentor but instead uses her own version of his techniques alongside her natural ingenuity to create wondrous items and trinkets such that the shinobi world has never seen before while doing her best to let her previous worries and concerns ground her, keeping her from reaching too far into places she has no business doing so. Artura has a bit of a haughty attitude despite her inability to learn most ordinary Ninjutsu, treating others with anything ranging from a reluctant acceptance and mild annoyance to outright disdain depending on the day - though she does her best to treat her paying customers with somewhat more respect. She has a habit of treating every order and request as an inconvenience whenever she is not actively working on these projects, only truly feeling comfortable while at work and while crafting an item or potion. Outside of her shop, Artura does her best to not talk to others, although, her peculiar method of dressing in robes or well-tailored outfits does little to help in this regard. When she is forced to actually talk to someone outside of her business, Artura will often try to end the conversation as quickly as possible and treat the other person politely yet with the same annoyance as she handles new orders - feeling that speaking outside of business is a waste of her own time and furthermore time that could be better spent in the forge, away from others. Very few things break this icy attitude with the major exceptions of two types of people: Those that are in need of genuine help, and those that are of a positive outward demeanor themselves. 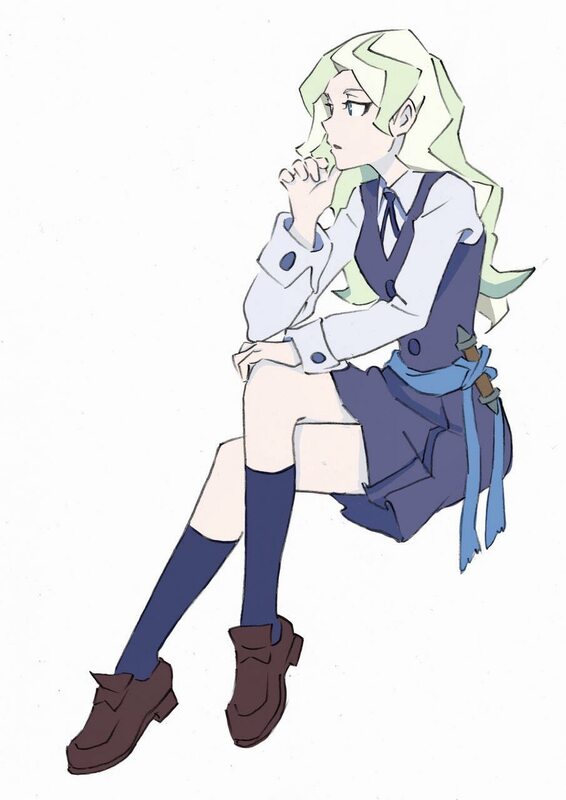 Artura cannot find herself able to argue or otherwise give these individuals a difficult time as she finds herself usually doing her best to placate the worries of those that are in need or treating those that are positive in nature with a gentleness that is unlike her usual self. While those may not be the only things that break the woman's icy exterior, it is hard to say for certain what else does so, only that for most she is simply a sharp-tongued young woman with an amazing gift for craftmaking. the user's physical flexibility allows them to activate her cells to such a degree that their body becomes mallable and able to extend certain parts beyond the human limits. This technique allows the user to extend their limbs, neck, etc to a max of 3 meters, with additional 3 meters possible with each rank of Constitution above rank D, maxing at 15 meters with S rank constitution. The speed at which Soft Body Manipulation can stretch limbs is based on the user's base Coordination rank. After coating their canines in a fine layer of medical chakra, the user bites down on a targets flesh, only penetrating enough to cause someone to bleed profusely, but not through bone. The bitten area will be infected with the medical chakra. This festers into an injury that scabs over instantly, This scab, however, retains the medical chakra, which keeps recausing the wound to bleed, causing discomfort as it automatically destroys and heals itself. Someone bitten by this technique suffers a - to their coordination as the pain distracts them, which lasts for 3 posts before the target either gets used to it, or the pain fades. -Each of the bites' debuff to coordination stacks as long as they are active. (ex. Player A gets bitten in post one and again in post 2, the debuff will be -- until either of the bites' duration ends.) with a max of -1 tier Coordination after stacking. -The range of this technique is based on the range limits of the parent technique: Soft Body Modification. -The speed of this technique is based on the user's base Coordination rank. Just like with the Chakra Palm technique, the user coats their hands in chakra, but this time forgoes to enhance said chakra into medical chakra and rather allows it to remain in its raw form. While this technique is being used, the user can land more precise and more damaging blows, raising their strength by one +. Should the user strike any limb twice within the span of three posts, it will result in a numb feeling in the affected limb for two posts. Should the user strike the same spot again within those two posts of numbness, the affected limb becomes paralyzed for one post. Weaknesses: Due to the large amount of focus this technique takes, when the user is hit by anything (ex. weapon, punch, etc. However, not random leaves or rain), the technique is forcefully stopped. The user concentrates medical chakra into their palms and with it will be able to fairly easy remove any first degree ailment (first degree burns, first degree frostbite, etc) on a surface no larger than a limb, while this technique does not heal scrapes, bruises or other wounds not linked to actual ailments, it does apply a certain numbing effect to relieve the pain. This technique needs at least one post to heal someone. Weaknesses: An overall well-balanced and solid technique, this has no apparent weakness. Description: This technique creates a barrier around a place by placing four "forbidden" (禁, kin) tags in different locations surrounding the place to be protected, a fifth tag on the location to be protected. The tags are placed on flat surfaces, and are connected with the user's chakra. This technique turns the entire range surrounded by the tags into a barrier space, and inside the space, the material's destruction is "forbidden". Using any kind of physical attack to try and destroy something in the barrier is folly, as it will only lead to injury. To cancel this, it is necessary to search for the four tags and tear them off simultaneously. Even if the tags are removed, there is a final obstacle. The user can add a trap that will create perfect copies of those who have removed the seal, preventing them from returning immediately. Those who have removed the seal must spend two posts fighting their copies before defeating them. "Why do I always get stuck with the idiots?..." Wealthy: Choosing a wealthy lifestyle means living a life of luxury, though you might not have achieved the social status associated with the old money of nobility or royalty. You live a lifestyle comparable to that of a highly successful merchant, a government official, or the owner of a few small businesses. You have respectable lodgings, usually a spacious villa in a good part of town or a comfortable penthouse suite in a high rise. -25% on all travel time. Does not stack with other modifiers. Passive + to any one stat. -25% discount at marketplace items. Does not include black market.